In New Jersey, there are a few towns that share names between Southern and Northern parts of the state. One of them is Washington Township or Township of Washington. My business originated in Washington Township of Gloucester County and now I reside in Williamstown, NJ (also known as Monroe Township which is another Northern NJ town but I’ll skip that for now). There is another Washington Township in Bergen County NJ. Although I do photograph weddings in all ares of New Jersey and abroad - I believe this common mix up was one vital factor that brought Nicole and Zane to my Instagram page (IG @JennaLynnPhoto) during their wedding vendor research. I couldn’t be more thankful for the state’s lack of creativity for dual town names for I got the opportunity to work with two incredibly sweet people. After a few minutes of speaking with Nicole over the phone, I quickly had a sense of what her vision was for her wedding day. I love hearing about what is important to each couple and for Nicole and Zane, they wanted their elegant Spring wedding to be centered around family and fun and it certainly was! With much anticipation for their day, upon request I met with Nicole and her parents at their gorgeous wedding venue, The Park Savoy in Florham Park NJ. As we walked the venue, I was sure to take notes of what about this venue made Nicole’s eyes light up. One feature for certain was the glamorous and classical elegant ballroom where she and Zane would share their first dance as husband and wife. She made a comment about the chandeliers and I immediately knew what photograph would become a keepsake to her wedding day memories. I couldn’t wait to return and be a part of this day for Nicole and Zane along with their loving families. 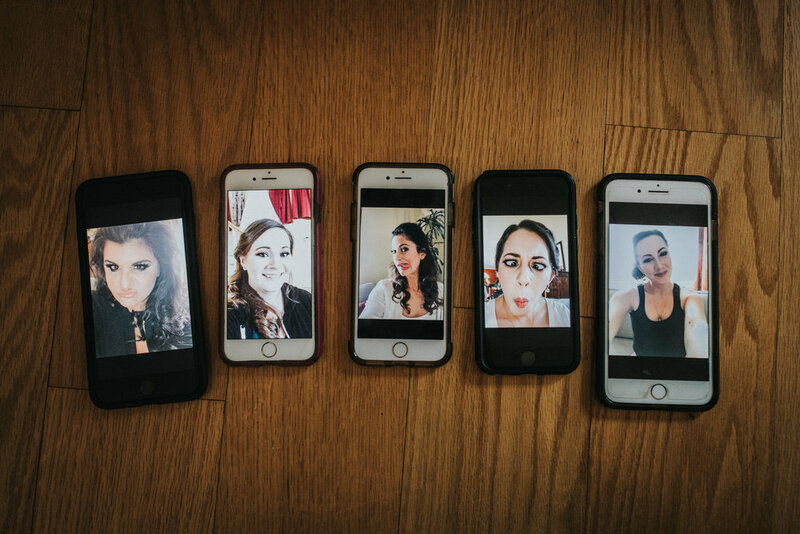 Nicole’s parents’ home was filled with excitement the morning of the wedding - along with a lot of hairspray, selfies and laughter. 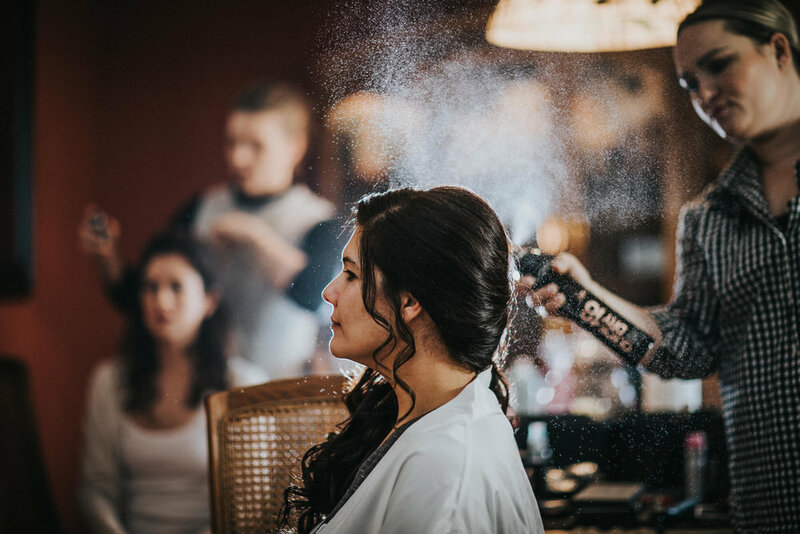 Nicole’s mother and cousin/maid of honor helped her get dressed and complete her bridal look with her jewelry and details. 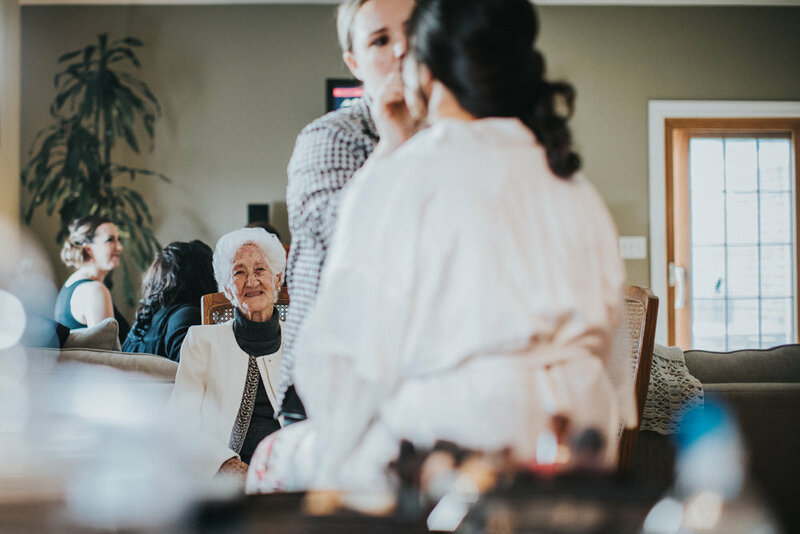 Her loving grandmother watched Nicole enjoy the morning of her wedding with being pampered, sipping on mimosas and transforming into a bride with a little help from The Bridal Artistry ! She gently grabbed my arm as I was passing by her to let me know of Nicole’s educational accomplishments and how incredibly proud of her she was! I sat down with her for a moment and let her beam with pride at her granddaughter as I continued to photograph the emotion in the room. Just a few minutes across town, Nicole’s groom, Zane was welcoming family and guests at their church, Ascension Church in New Milford NJ. This gave my second photographer, James time to capture a few stunning portraits of Zane by the stained glass windows. After a heart pounding walk down the aisle with both of Nicole’s parents supporting her, and the exchanging of vowels with a few laughs these two souls became connected in marriage as husband and wife. The staff at The Park Savoy was incredible, and very helpful. They allowed us to use the grounds with the ballroom’s glass windows as a classic background for the bridal party and bride and groom images. Early March brings a crisp chill to the air so we remained outside for portraits for as long as Nicole and Zane could take it before needing to warm up inside with cocktails! During their reception, Nicole’s father gave a very touching speech with a memorable story of when she was a child. Everyone was laughing and crying as it was so clear to see how Nicole and Zane were very loved. 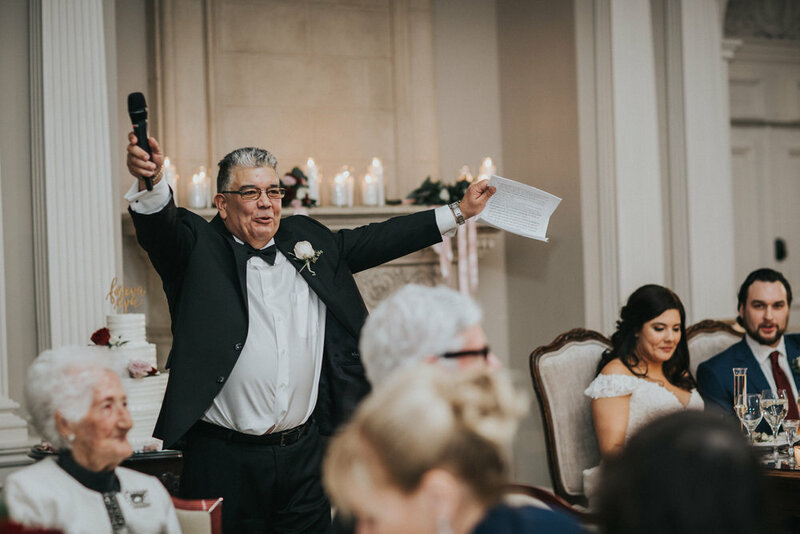 Zane’s best man and friend honored him with hi-lighting his Hockey career achievements and what their connection meant to him. The dance floor was never at rest as this crowd kept the party alive constantly! During a wedding, everything is fast-paced. The day is organic and ever changing. 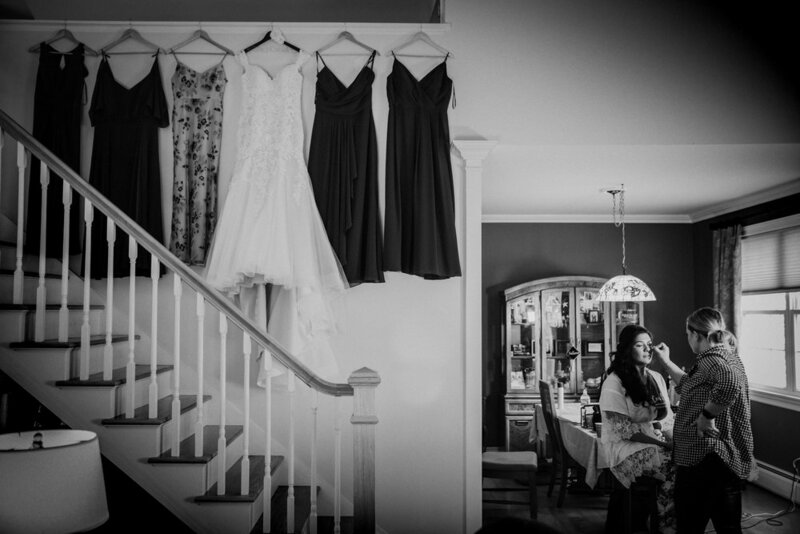 I’ve learned that two things are paramount to successfully documenting a wedding day: preparation and flexibility. What a tango these two elements can create. 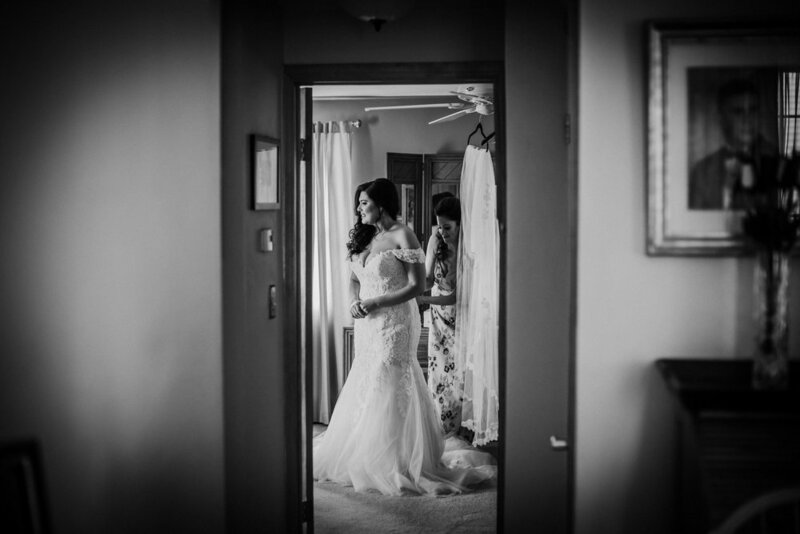 Mentally referencing my meeting at the venue months prior to their special day, I knew a creative photo in the “black and white room” of The Park Savoy was very important to Nicole and her mother. During the actual wedding night, there was barely any time to pull the couple from the events of the reception to create this photo I had in mind - one I had been thinking of for 6 months. I didn’t want my preparation and their hopes to be forgotten but I had to be flexible as the exact moment I was able to grab Nicole and Zane’s attention - a song she had requested and was waiting to dance to all night JUST begun! A swift reminder that the smiles on their faces and how happy they were in the middle of that dance floor was all I needed to see to know that the memories they were making were more important to them in that moment than an image they told me they wanted 6 months ago.